Wired 4 Sound’s subsidiary, Professional Media Services, LLC, specializes in providing high quality audio video presentation services and rentals. The experts at Professional Media Services can fully coordinate a client’s entire presentation or supply specified equipment and/or manpower to ensure the presentation is seamless and flawless. 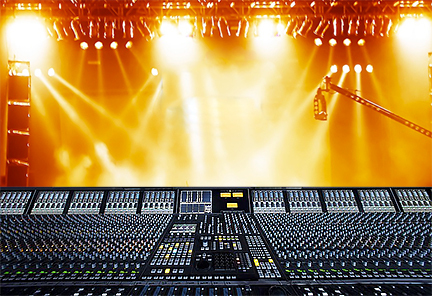 Professional Media Services offers a comprehensive selection of production services as well as skilled technicians and engineers, lighting, rigging and staging.